Part of my long-term love affair with objects stems from my curiosity about how and why things are designed, made, used, collected and ultimately, why they survive. I believe we can appreciate objects from a number of useful perspectives—beyond their initial aesthetic appeal—once we acquaint ourselves with a few basic facts. I'd like to share a few of the techniques I use in my research. 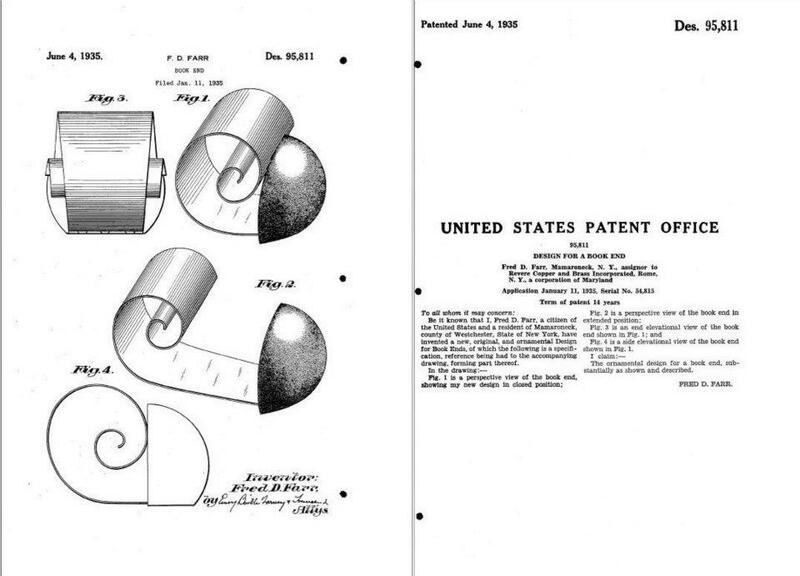 I sincerely believe knowledge is most powerful when shared and at least one internet behemoth illustrates my philosophy with ease and elegance; I am particularly fond of Google's online patent search as a powerful first step for many of my object research projects. When I first look over an object, I hunt for clues that may include an artist or designer's signature, a company or retailer's mark, a registration number and/or a patent number. I recently purchased a set of silver "finger bowls" in Park City, Utah with teal enamel interiors. The pieces immediately put me in mind of the mid-century, silver plated, so-called "color glaze" tableware developed by American manufacturers such as Wallace, Oneida, Towle Silversmiths and Reed & Barton. These popular pieces were made in the spirit of higher-end enameled pieces crafted by a number of talented European silversmiths, including Georg Jensen of Denmark. W & S BLACKINTON / FINE SILVERPLATE / SINCE 1865 / 50 / U.S. PAT. NO. 3,031,096. This mark provides several clues and a solid direction to follow. I immediately went to Google's patent search, typed in the number and learned that Bruin T. Lipman of Meriden, CT filed a claim for this patent on 7 November 1961 for a "combination coaster and ash tray ... [with] the appearance of a silver dish, but the utility of a glass dish." The United States Patent Office granted his request on 24 April 1962 and thanks to this document (and Google's heroic efforts), I learned in seconds the name of the designer/inventor, the proper name and use of my new objects, their material make-up, geographic origins and date of conception. Follow this link to see for yourself! At the risk of stating the obvious, a great deal of information for an initial inquiry don't you think? I'll leave you with a final example. 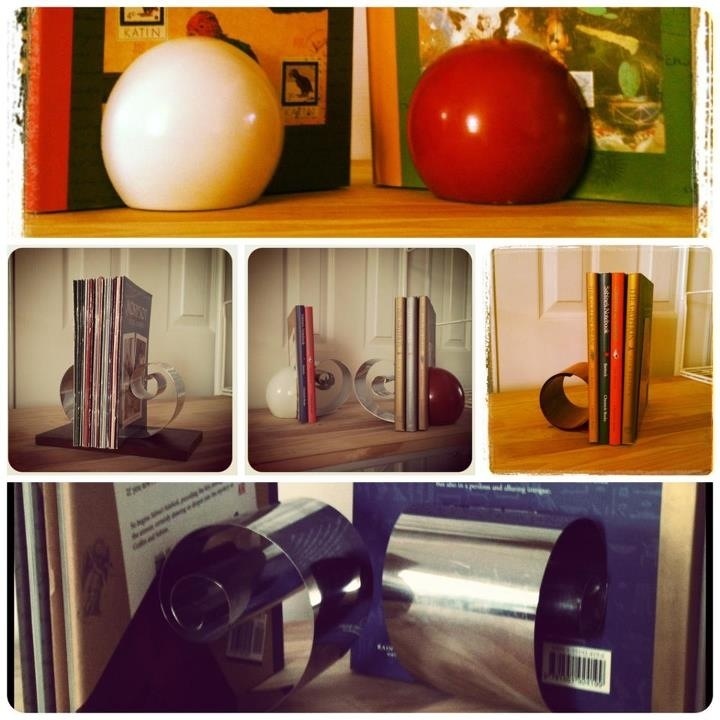 This pair of Art Deco era spiral or coil bookends of painted red wood and chrome-plated steel is stamped "REVERE / ROME, N.Y. / Pat. appl'd for" on base. Update! I just learned of a new site that seems promising. Check out Pat2PDF to download a copy of a patent from the U.S. Patent and Trademark Office. So fascinating! I had no idea about any of this. I'm going to to this all the time now. Thanks! Bruin Lipman was my father! Very cool to find this. Thank you.